A collection of poetry and short prose pieces exploring the concept of mana. Completed on the Michael King Writer’s Centre Māori Writer’s Residency 2011. Ben Brown (Ngāti Paoa, Ngāti Mahuta) is a writer, poet, performer and award-winning children’s book author. He lives in Lyttleton. 160 x 225mm, pb, b&w, 10-track audio cd, 50pp. 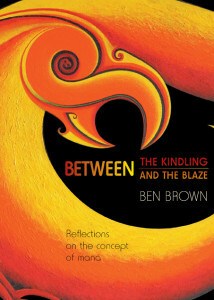 “With scant collections by Māori writers making an appearance in New Zealand’s poetry scene, this book is an important arrival.” —Paula Green, NZ Poetry Shelf. “This is a genuine, generous, soulful anthology: warm yourself in front of it.” —Drus Dryden, Bookseller’s NZ Blog. “This collection is described as a reflection on the concept of mana. It has an authority of its own – it takes mana to take on such a topic, and Brown establishes quickly that he is the right one to do so.” —Sarah Dunn, Nelson Mail.